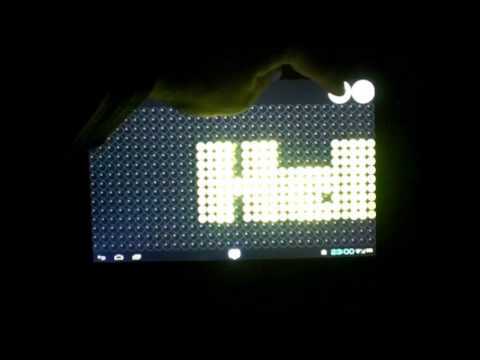 This app allows You to use Your phone or tablet as a scrolling LED display. Just write Your message, select color, font and speed and let run Your message on the whole display. But this is not all. You can use it as a solitaire, but You cal also use it as a remote display - just send Your message to the air and it will appear on all receiving devices in neighborhood. You can also use Your device as a party display which will show messages from every phone on the party. It is so simple! Notice 1: remote control functions can work only on local network. This functionality is using broadcast messages, so connection to a local WiFi is necessary. Notice 2: pleas do not use a soft keyboard with prediction or suggestions when You want to edit a message.